Cultural Heritage is the buzzword these days in Europe. Even though the term may remind of old times, the other keyword that currently goes along with “innovation” brings in a fresh and dynamic aspect. Representatives from municipalities, technology providers, researchers and policymakers gathered at The Fair of European Innovators in Cultural Heritage, on the 15th and 16th of November 2018, in Brussels, Belgium. Among the participants, DFRC attended the exhibition as a ROCK partner, for which LBASense has been selected as an innovative solution to help cities with cultural and historical legacy shape their future. 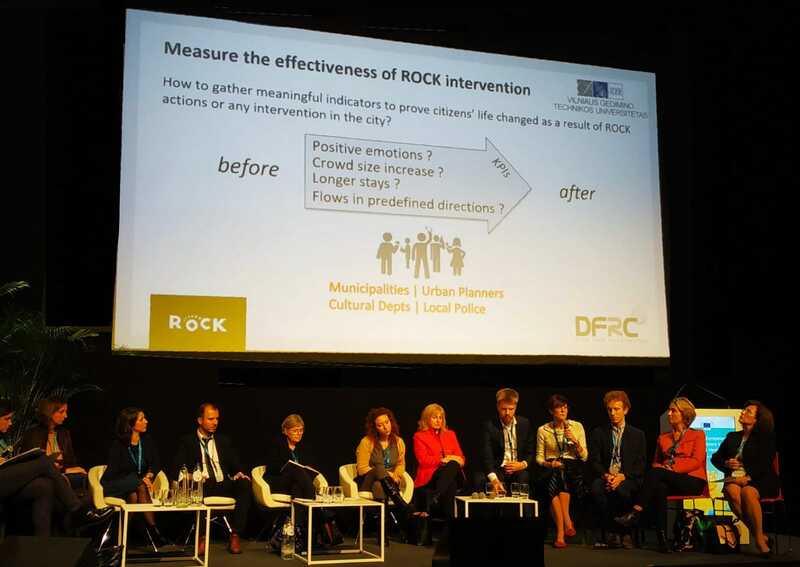 ROCK involves ten cities throughout Europe, from Liverpool to Athens, from Lisbon to Vilnius, with more than thirty partners committed to promote innovative approaches to improve life in these historical centres, measure the impact of such interventions, leading to a sustainable development and economic growth. 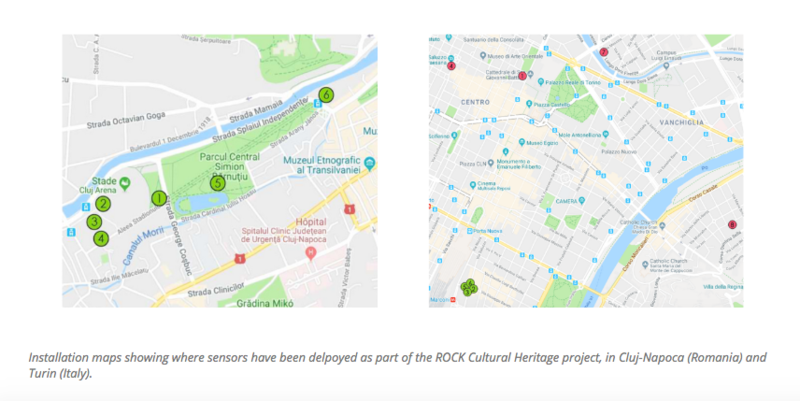 Within the ROCK initiative, DFRC provides its LBASense technology as a tool to assess and measure the situation in urban centres, in terms of crowd’s behaviour, activities and movements. Drawing a baseline of the city footprint before any ROCK action (e.g. renovation of street lighting), DFRC is able to estimate the change in the crowd’s patterns as expression of the modification impact on the city’s Cultural Heritage. At the fair, DFRC showcased the installation in Cluj-Napoca, Romania, and Turin, Italy, two of the ROCK cities who already adopted LBASense solution for Cultural Heritage. On the fair’s opening day, the Community of Innovators in Cultural Heritage was officially launched. A brand new platform is available for any kind of players in the industry, companies, organisations and private members. Participants can vote for the Best innovation exhibited in the demo area and Best booth exhibited in the demo area at the Fair; DFRC is nominated with LBASense for the first award. Interested in our Innovation for Cultural Heritage? Contact us, or visit and vote for our solution online.